Laird Hamilton Jet Ski 'Clowns' RUINED MY SURFING SPOT!!! 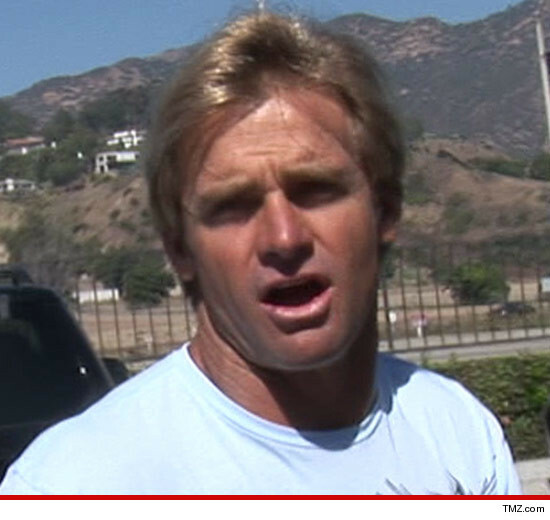 Laird Hamilton's latest surfin' safari was a TOTAL DISASTER ... all because greedy jet skiers have overrun and RUINED the Tahitian spot he made famous ... the surfing icon tells TMZ. "They are so much more concerned with catching the next wave than with other surfers," the 49-year-old big-wave pioneer said. "The chaos of the jet skis' movement has a circus-like aspect. Some behaviors were borderline clownish." Laird recalls several near-collisions at his famed spot off of Teahupo'o this week ... even a few wipeouts caused by wave-grubbing jet skiers thrusting themselves in front of boarders. "I watched a few surfers go down hard," he said. "They're all wearing a bunch of cameras, taking off on waves they have NO chance of making," Laird told us. "They drop in just so they can have a photo of themselves ... 'Wow, look at me!'" For the uninitiated ... back in 2000, Laird became a major name in surfing after dropping into a dangerous monster wave at the Teahupo'o break ... forever cementing it as a go-to spot for big-wave surfers. The irony -- he was only able to do it by being towed in ... by a jet ski.